This is one of our well maintained rentals. Please call to verify it is on the lot and not out on rental. Thank you for your interest in one of All in One Auto's online offerings. Please continue for more information regarding this 2009 Chevrolet Express Passenger with 59,083 miles. 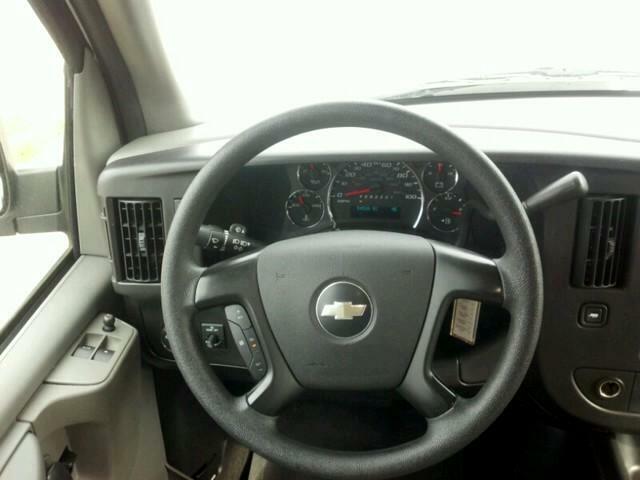 Only All in One Auto could offer you a Chevrolet Express Passenger with mileage this low on such a popular vehicle. With all records included, feel comfortable knowing that the history of this Express Passenger is provided in order for you to make a knowledgeable decision. The interior of this Express Passenger has been through meticulous inspection and could almost pass for a brand new vehicle. The Express Passenger is in a class on its own. So much so, that Chevrolet didn't miss a beat when they loaded this vehicle with an abundance of a-la-carte options. This Chevrolet includes: TRANSMISSION, 4-SPEED AUTOMATIC, HEAVY-DUTY, ELECTRONICALLY CONTROLLED AUDIO SYSTEM, AM/FM STEREO WITH CD PLAYER HEATER, REAR AUXILIARY MEDIUM PEWTER, CUSTOM CLOTH SEATING, 12-PASSENGER REMOTE KEYLESS ENTRY CONVENIENCE PACKAGE, POWER WINDOWS AND DOOR LOCKS AIR CONDITIONING, REAR SEAT ADJUSTER, DRIVER 6-WAY POWER More information about the 2009 Chevrolet Express Passenger: The venerable Chevy Express full-size van appeals to those who want a traditional van for transporting up to twelve passengers and cargo, with long-haul dependability. When properly equipped, the Express can tow up to 7,400 pounds, which makes it especially attractive to those with boats or camper-trailers. Strengths of this model include Available all-wheel drive, seating capacity, and towing ability.